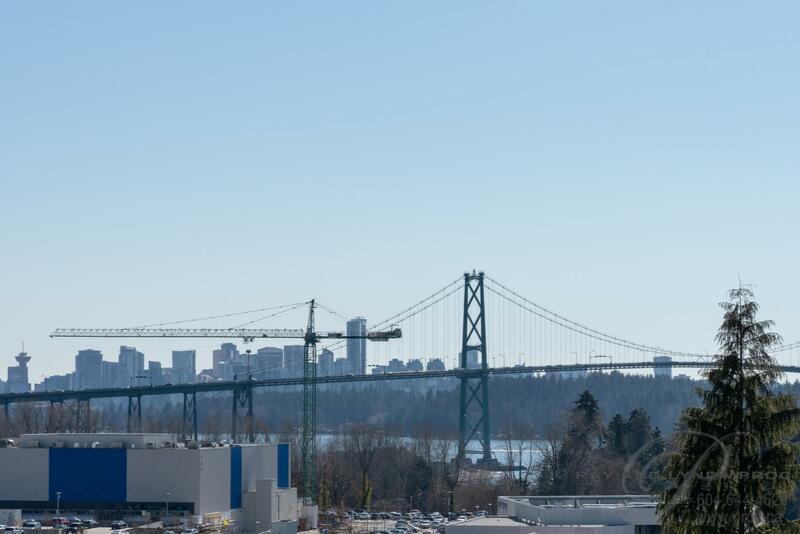 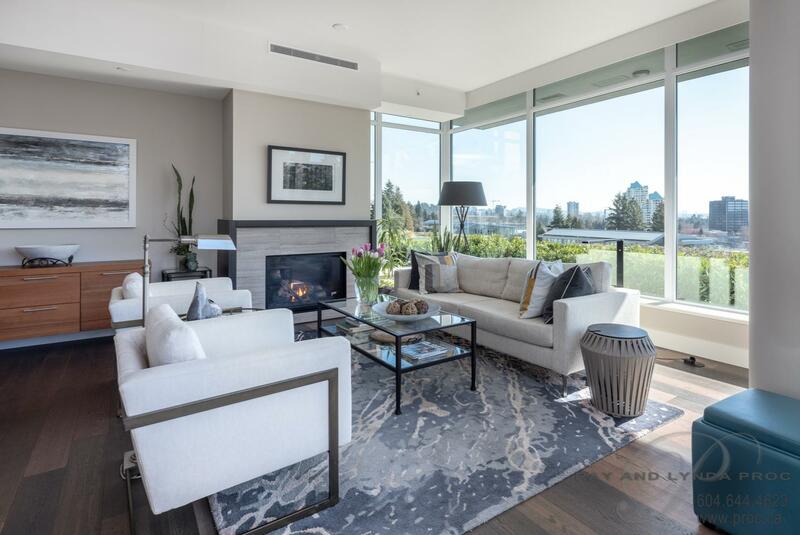 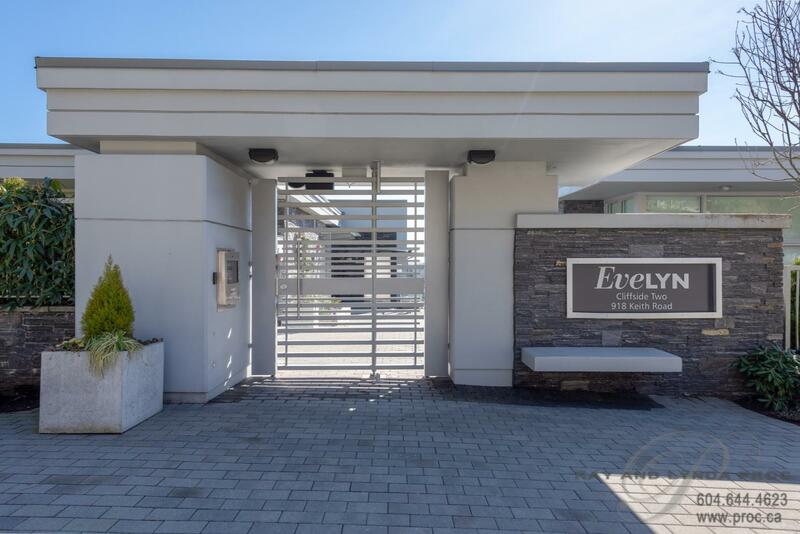 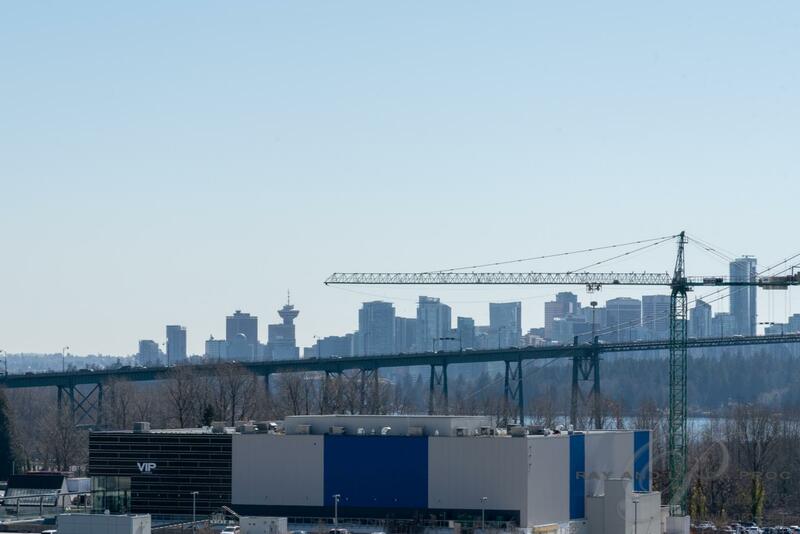 Designed by Arthur Erickson and perched above Park Royal with captivating views of the water and Lions Gate Bridge, The Evelyn is an architectural work of art showcasing a timeless design and a respect for the natural environment, celebrating the very character and allure of West Vancouver. 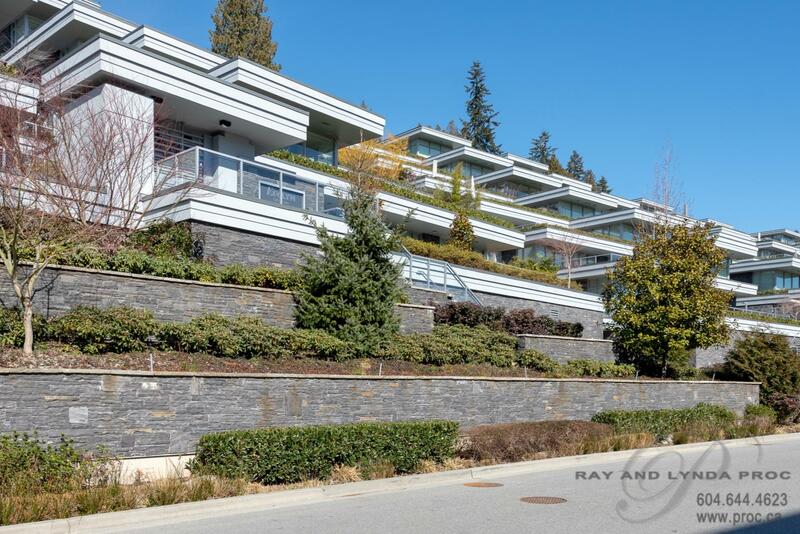 Easy access to Downtown Vancouver, Horseshoe Bay and the North Shore Mountains this stunning sub-penthouse with its floor to ceiling glass windows and doors, modern spacious two bedroom and den interior plus 725 sf of landscaped framed terrace offers the ultimate in indoor/outdoor adult living. 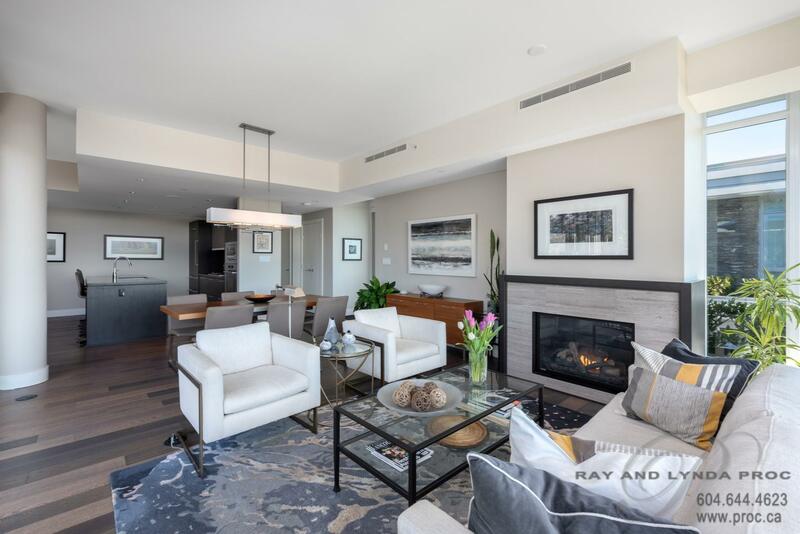 The stunningly appointed open interior living space features wide plank oak hardwood flooring, electronic blinds, custom stone surround gas fireplace and built-in Control4 smart home technology for lighting and sound. 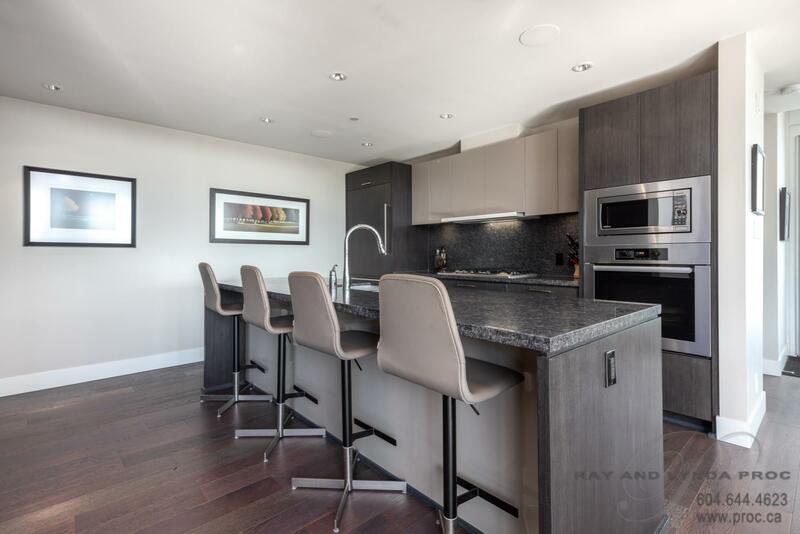 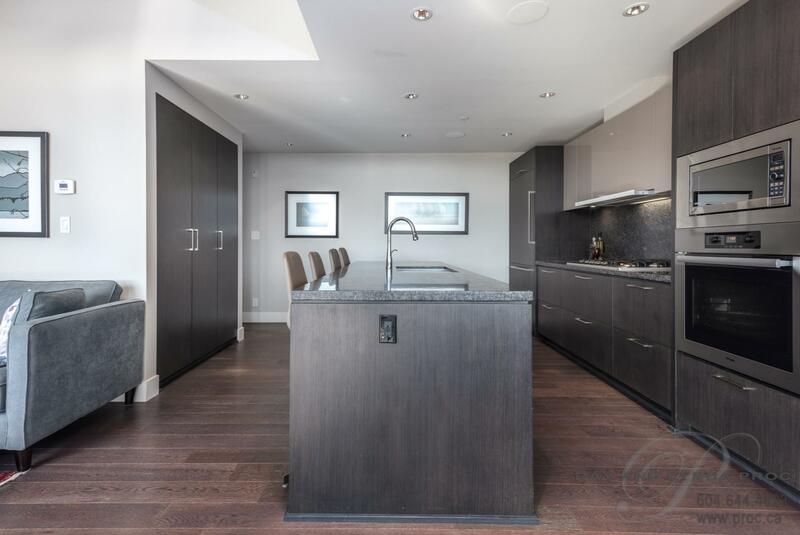 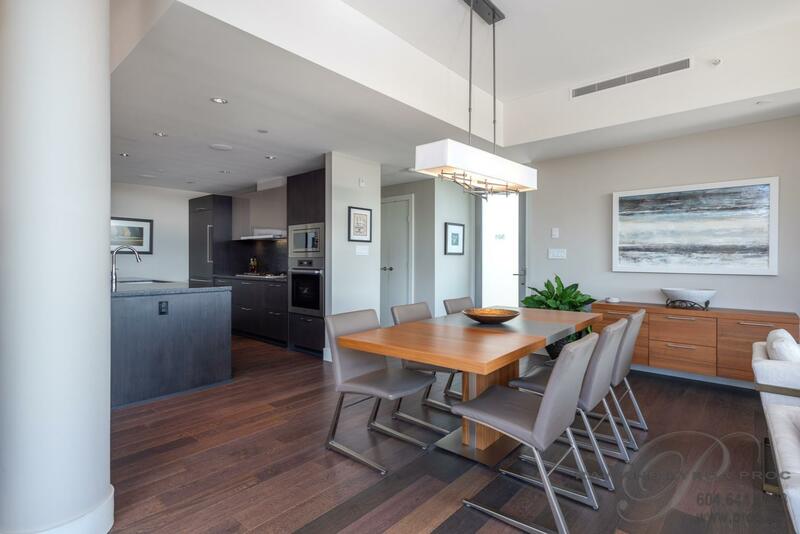 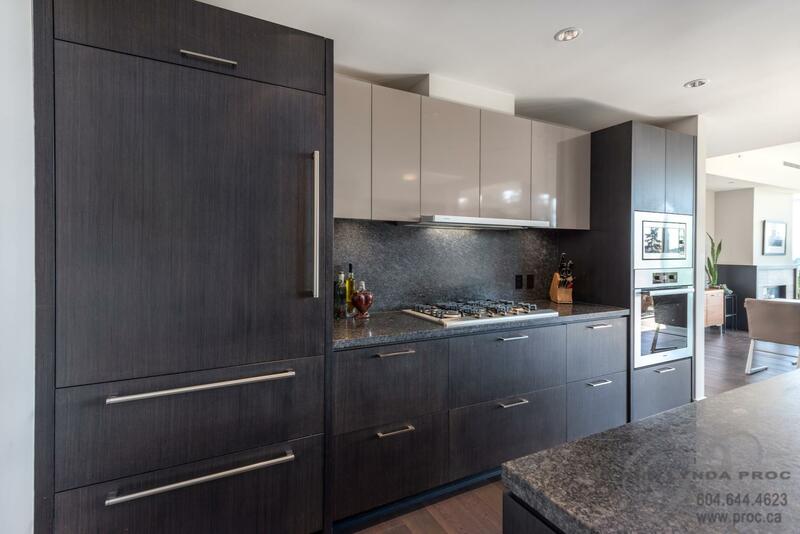 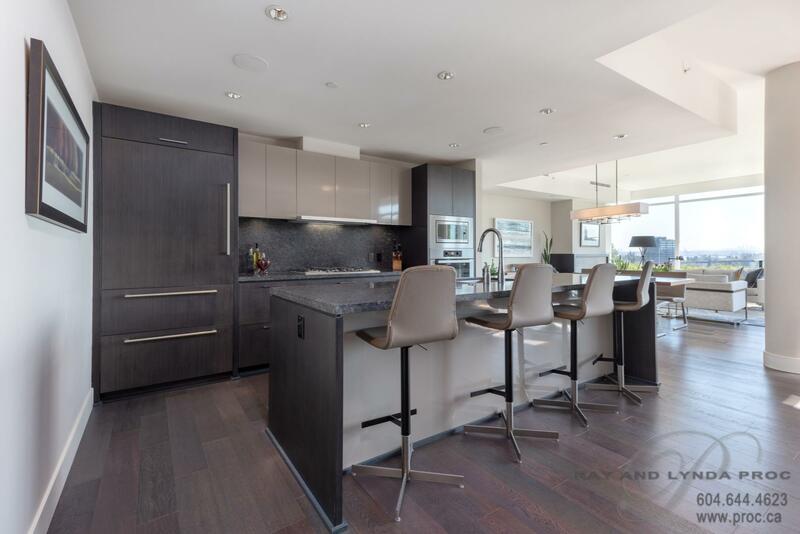 The kitchen with Sub-zero and Miele appliances, granite counter and backsplash, flat panel oak and lacquer cabinetry plus bar stool seating for four creates a sense of luxury throughout. 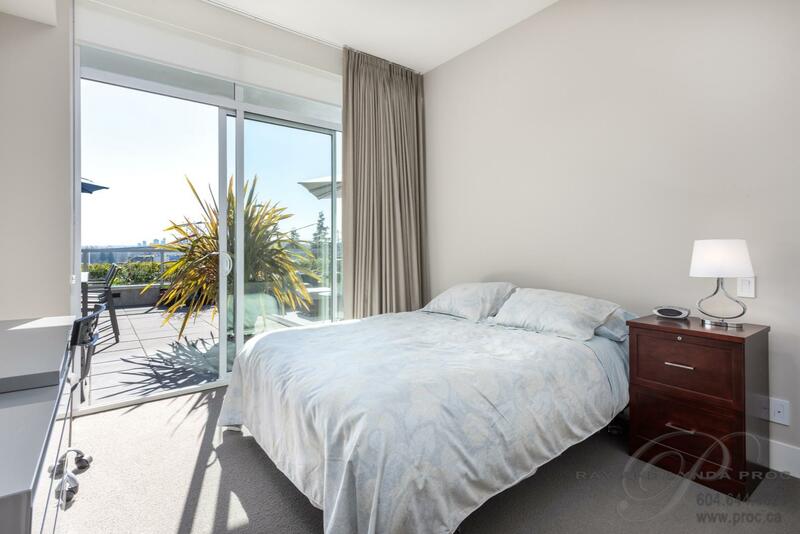 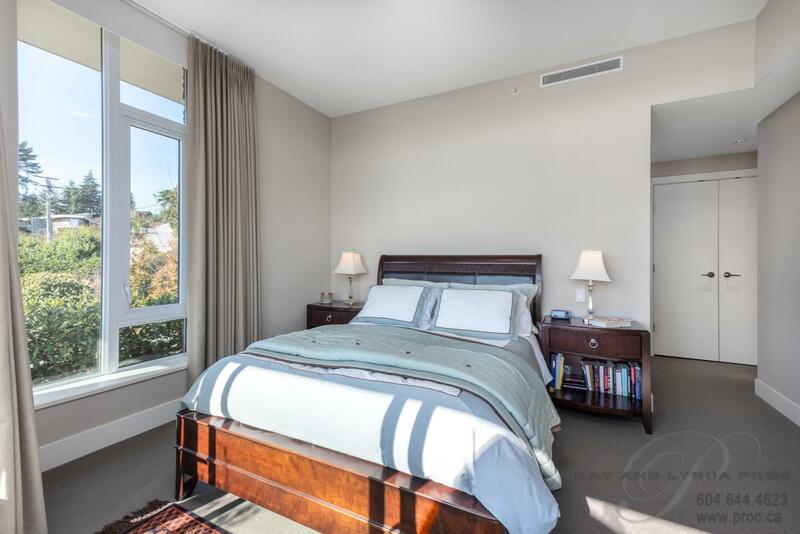 The two ensuited bedrooms open onto the private terrace and are beautifully appointed with wool carpets, heated travertine flooring and marble slab countertops. 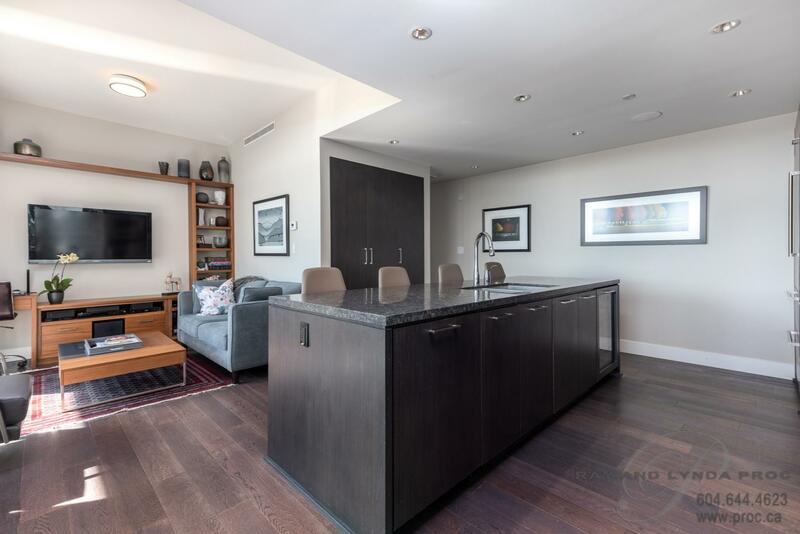 The bright den with its built-in cabinetry is the perfect home office. 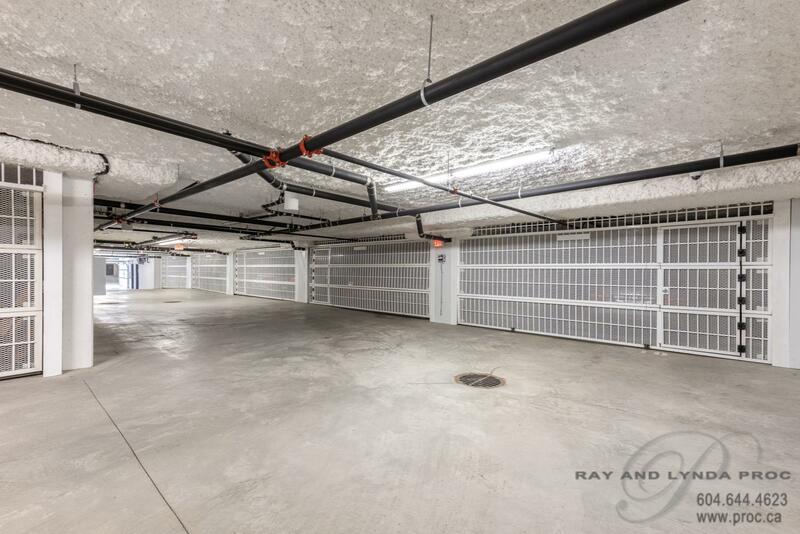 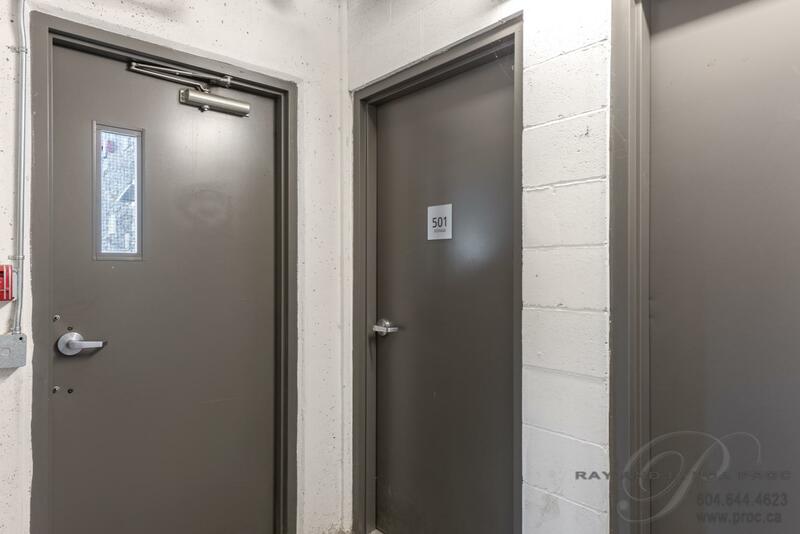 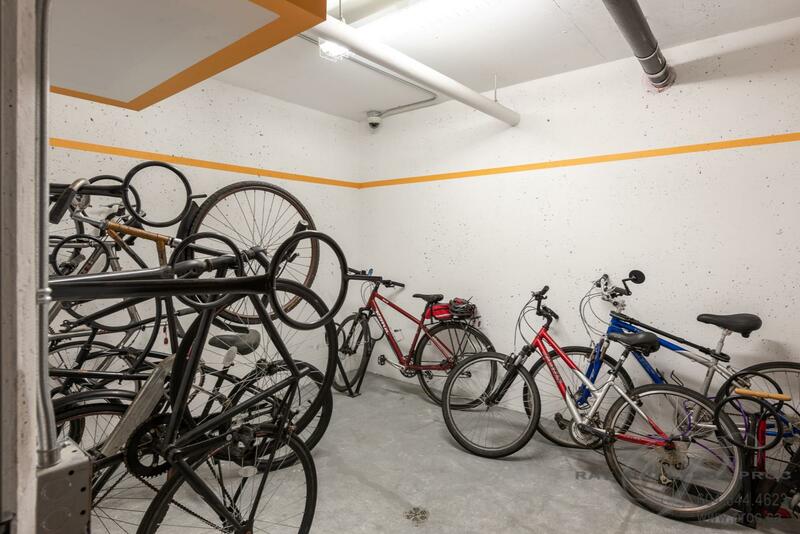 Heating and air conditioning via individual heat pumps, a cozy outdoor gas fireplace, private two car garage, state of the art security and fire protection systems and two huge storage lockers plus bike storage are just a few of the unique features in the beautiful development. 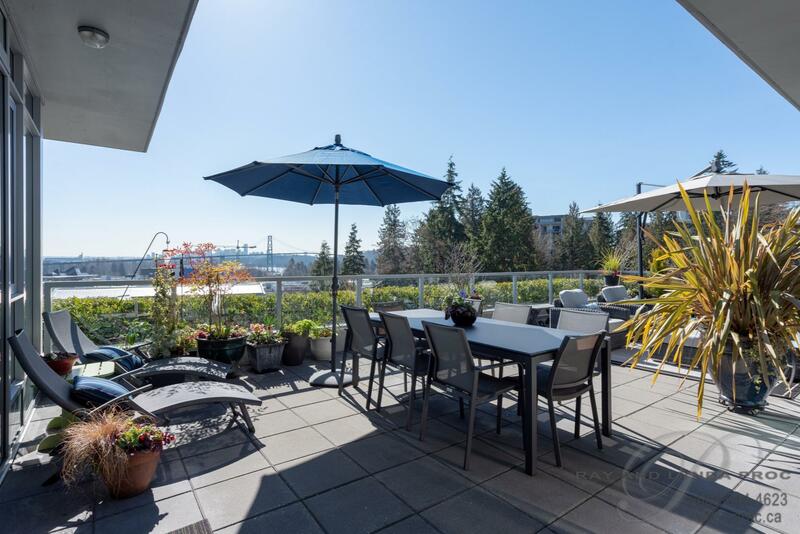 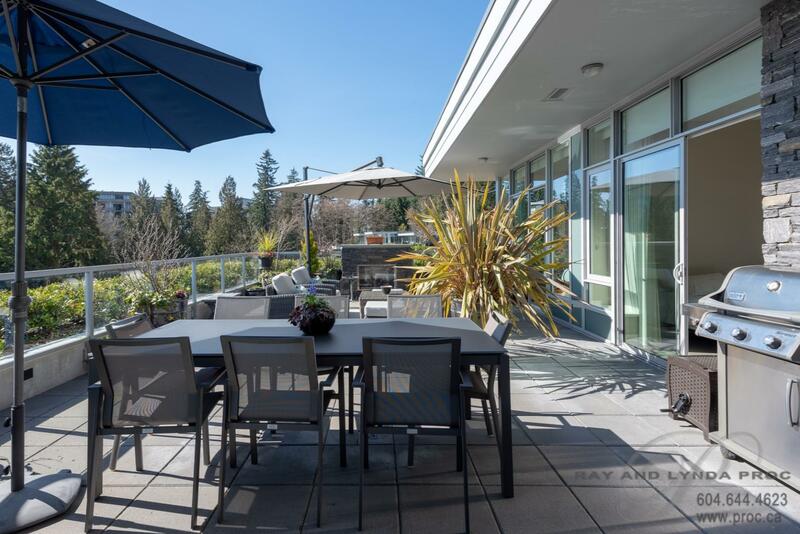 The terraced design provides garden space and planters are situated on terrace edges, framing stunning views and protecting privacy with easy access throughout the property via pedestrian walkways and wandering paths or via elevator from the parking garage or guest parking to your front door. 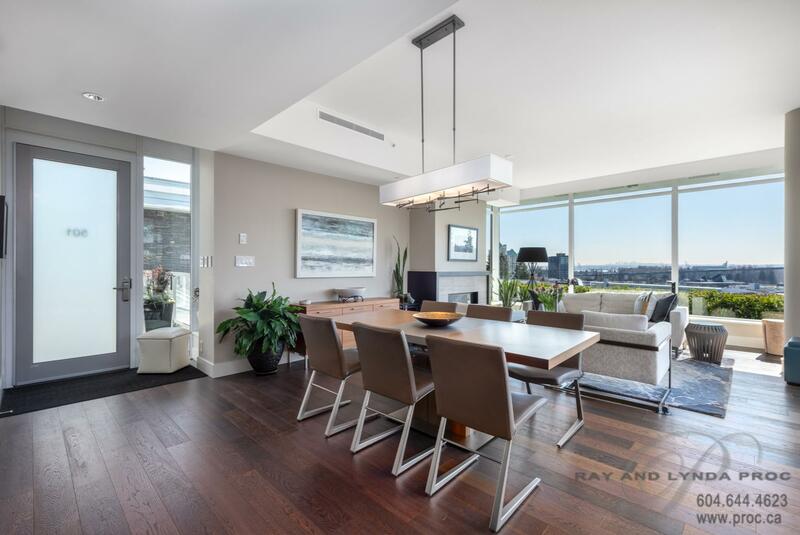 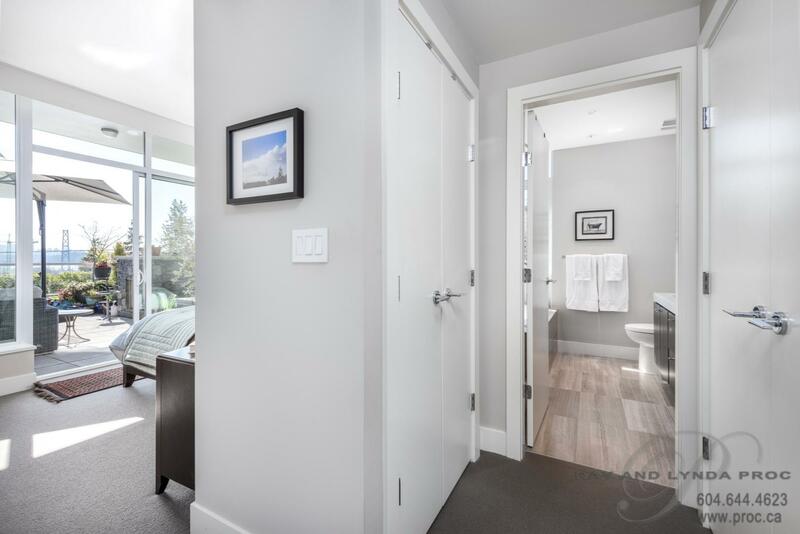 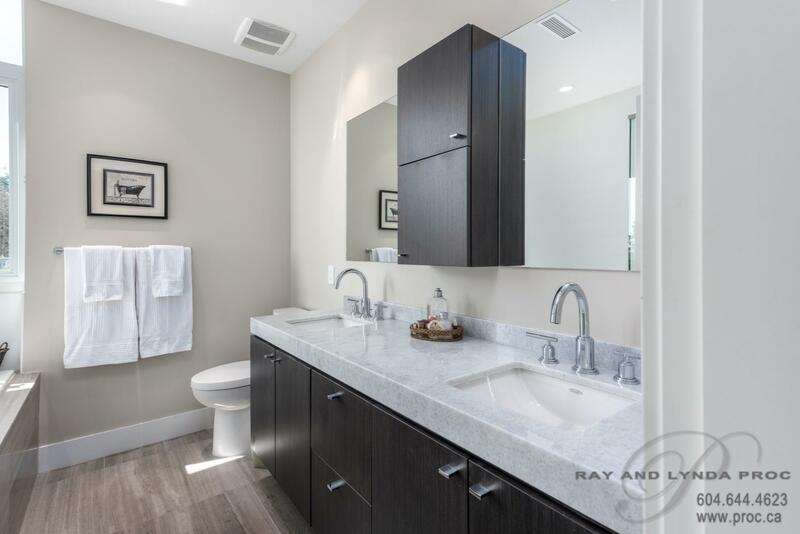 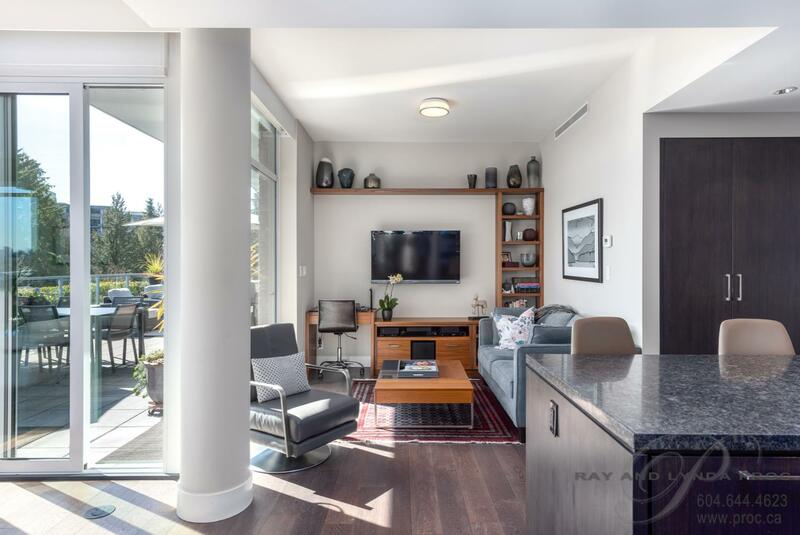 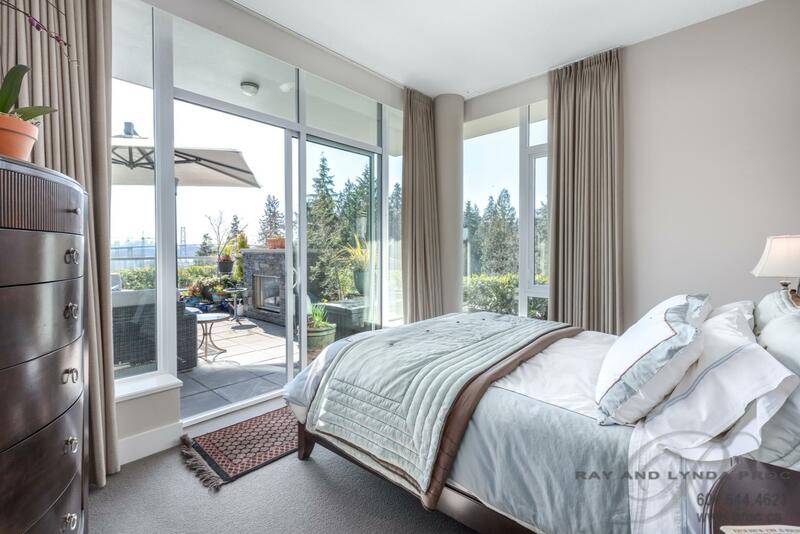 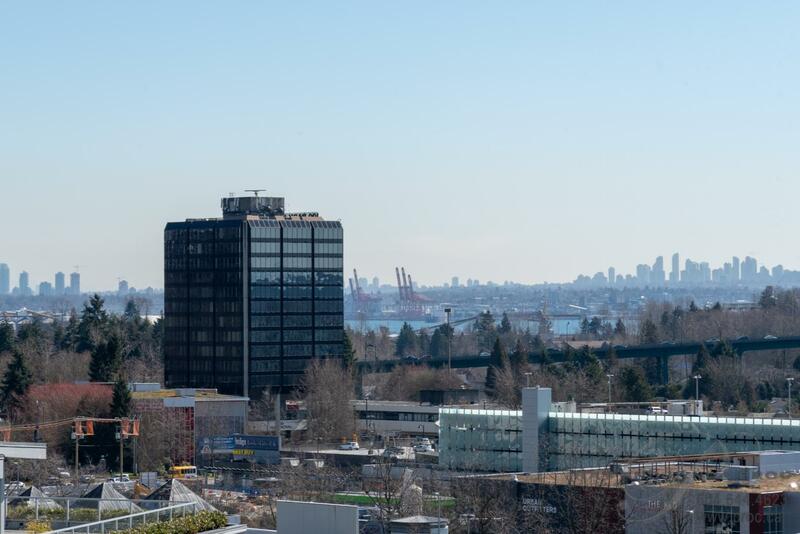 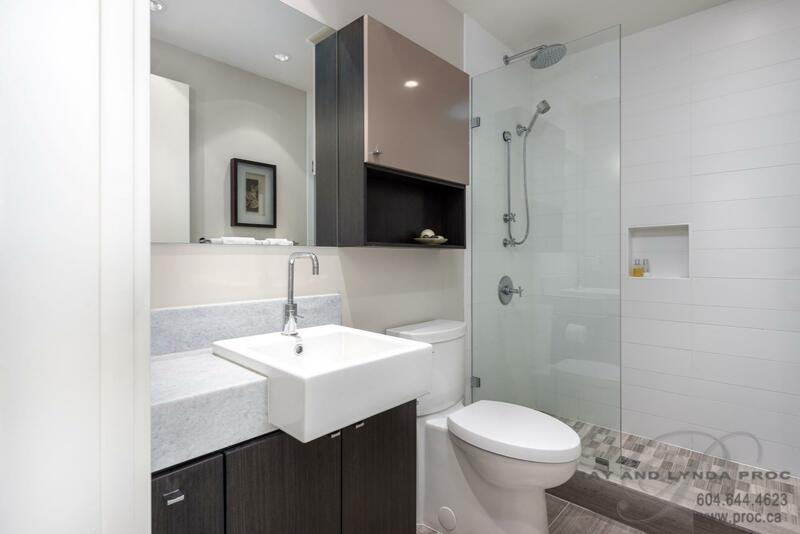 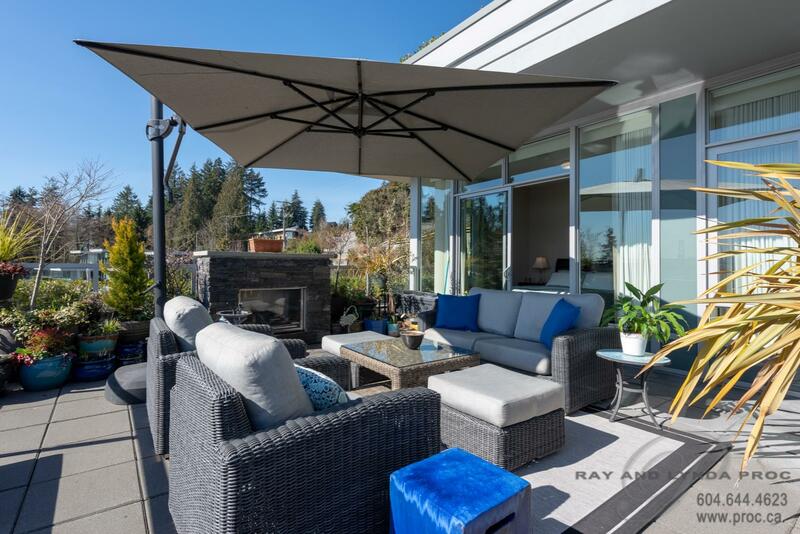 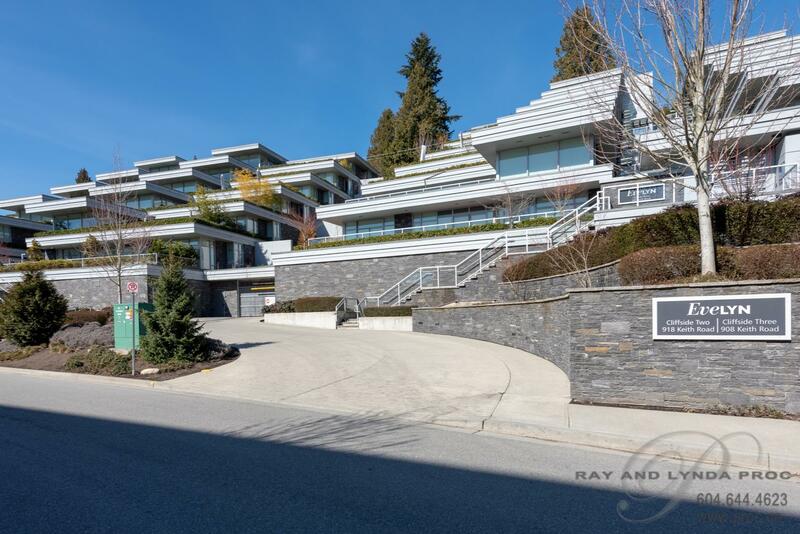 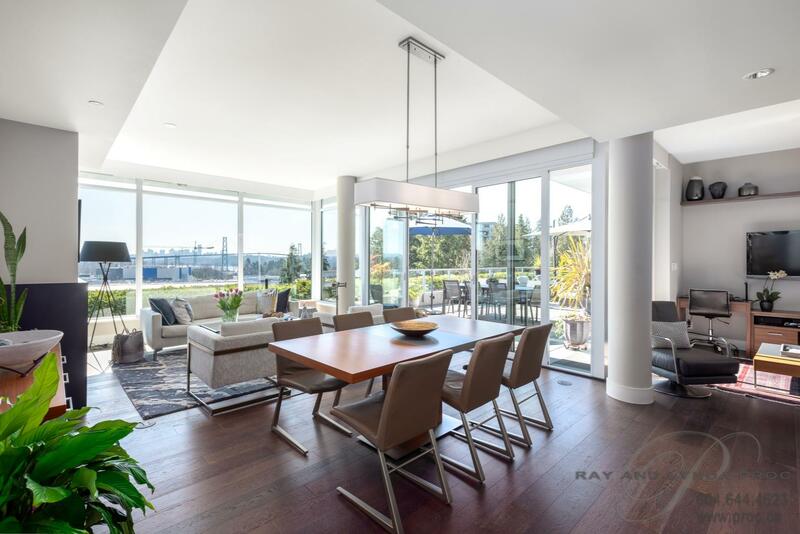 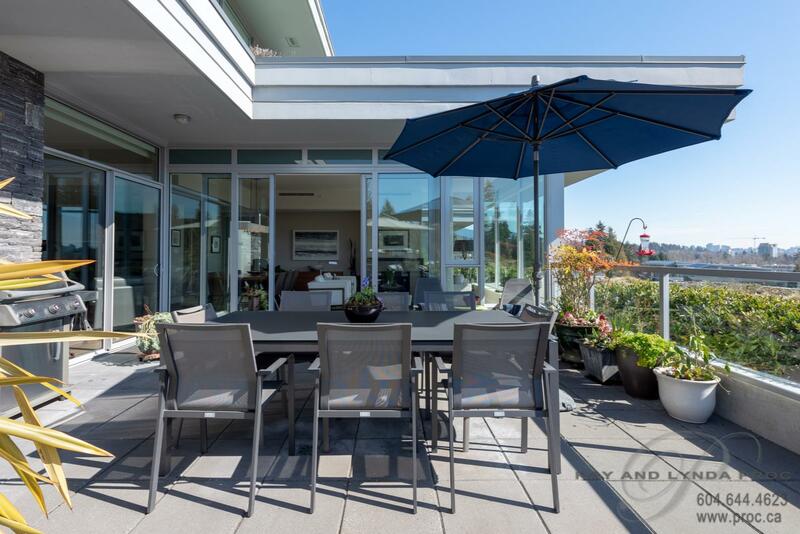 Walk to Park Royal with its new Cineplex Theatre and world class shopping, Ambleside and the Sea Wall… the ultimate in adult living and true to the spirit of West Coast modernism, Evelyn offers you the best in West Vancouver lifestyle!